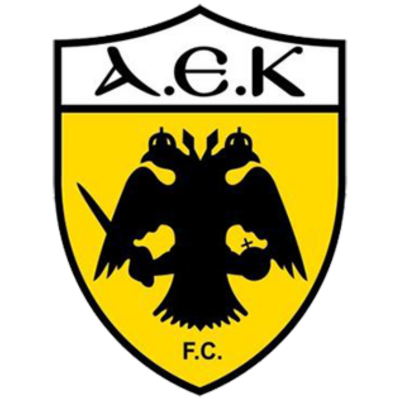 After several days of uncertainty regarding the location of the match, United's Europa League third qualifying round second leg match against AEK Athens went ahead at Olympiakos' Karaiskakis Stadium. Home fans had been banned from the game due to concerns over potential crowd trouble and therefore the match was played in front of an empty stadium except for the noisy band of 500 or so Arabs housed in a tiny quadrant of the ground. Peter Houston made two changes to the side which had lost 4-0 at home to Inverness at the weekend with both first choice strikers Jon Daly and David Goodwillie dropping to the bench in place of David Robertson and Danny Cadamarteri. United kicked off the match wearing an unusual Blackpool style combination of tangerine shirts and white shorts having been forced to change from their normal black shorts to avoid a colour clash with AEK. Inside the opening ten minutes, the Greek side had carved out three chances; Scocco, under pressure from Sean Dillon fired over. 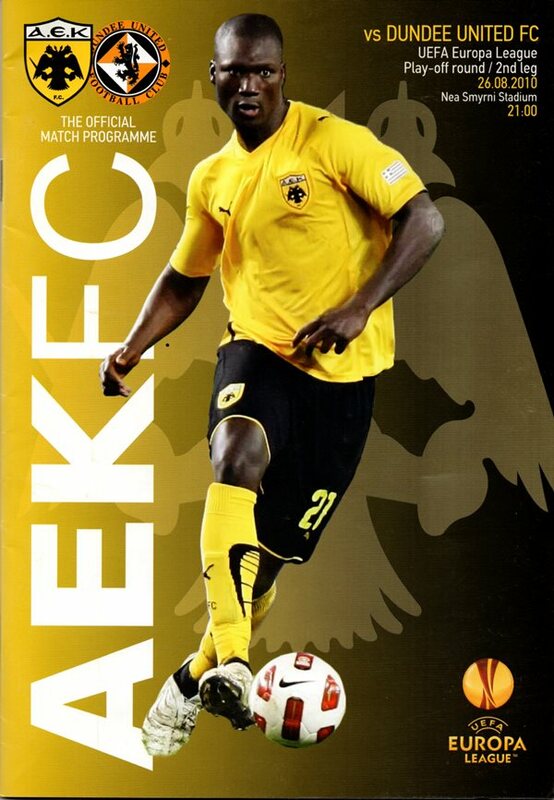 With United getting behind the ball at all times, AEK continued to dictate, but ironically just as United were getting a foothold in the game, AEK scored and it was a goal that followed a carelessly conceded corner. From Scocco's kick, Jahic Sanec nodded it onto Pape Bouba Diop who diverted it home from close range. The Greeks introduced Gentsoglou Swas as the second half began and just three minutes later Houston made his first change bringing on David Goodwillie for Cadamarteri. Now it was United's turn to take the play to the Greeks with Craig Conway causing the AEK defence problems. Pernis had to keep out a Scocco shot and then a Manolkas Kostas effort was blocked after 73 minutes. With 15 minutes left, Blanco got on the end of what was nothing more than a punt up the park but fortunately for the noisy Arabs, his parting shot went well wide. Then with 12 left, United fans had something to cheer about. 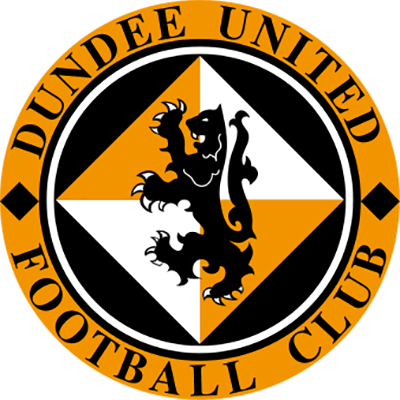 Paul Dixon played a long ball from just inside his own half which Jon Daly ran on to and he eventually forced the ball over the line despite Jahic's efforts to keep it out. It was game on now because United needed just one to go though and they almost got it with eight minutes left. The ball fell to Danny Swanson just outside the box and he took it on his chest and sent a volley just a yard wide. But hard as they tried, they just failed to add to the long list of the club's famous European nights.